The Altitude VI Lite II Mid Boot from Hi-Tec feature a waterproof, breathable Dri-Tec membrane and suede and mesh upper which will keep feet dry through wet grass and puddles. These waterproof women's walking boots also have Hi-Tec's exclusive i-shield protection which repels water and dirt and is resistant to stains, keeping your boots looking newer for longer. 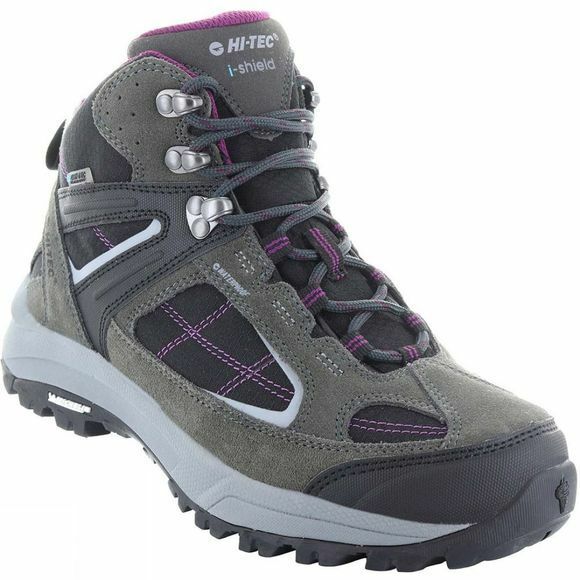 The gusseted tongue keeps out debris while the abrasion resistant heel and toe cap protects feet against rough terrain. Ortholite insoles and an impact absorbing midsole deliver superior underfoot cushioning and long lasting comfort. The lightweight fork shank adds stability and the Multi-Directional Traction (MDT) rubber outsole improves grip to help keep you grounded on uneven terrain. 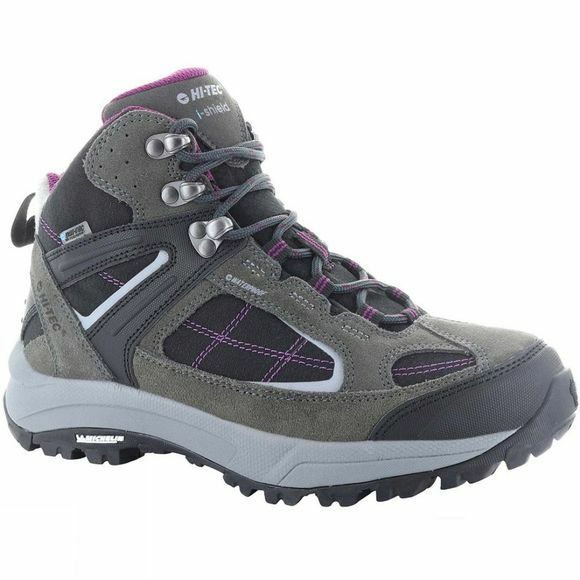 These comfortable waterproof women's walking boots will keep feet dry in the wet weather and breathable in the warmer months. Making them an ideal choice for dog walkers and ladies who enjoy light hiking throughout the year.